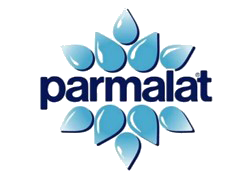 $400 million milk producer in NY/NJ – subsidiary of Parmalat S.P.A.. $100 million loan to Parmalat USA, with funds upstreamed to parent. Company filed for bankruptcy following parent’s bankruptcy filing. Milk producer went into bankruptcy along with its European parent. Bank risked losing a significant portion of $100 million senior stake due to strong opposition from other lenders who preferred liquidation to an equity stake. MorrisAnderson’sanalysis uncovered various errors in company’s forward looking assumptions that would significantly impact and undermine Bank’s position. Potential fraudulent conveyance allegations by UCC could impact Bank’s payout significantly to below that of unsecured creditors. Company sold or closed all non-core assets. New management team renegotiated contracts with major supermarkets. Settlement negotiations with UCC resulted in fraudulent conveyance allegations dropped, preserving senior position for Bank and with higher payout to unsecured creditors. Other senior lenders bought into the reorganization plan instead of liquidation. Company emerged from bankruptcy and is performing better than plan. Bank likely was repaid their investment.